Doing What You Love; nothing could be more important! If you have a dream, why not make it happen? If you dare to wish, then why not dare to try? 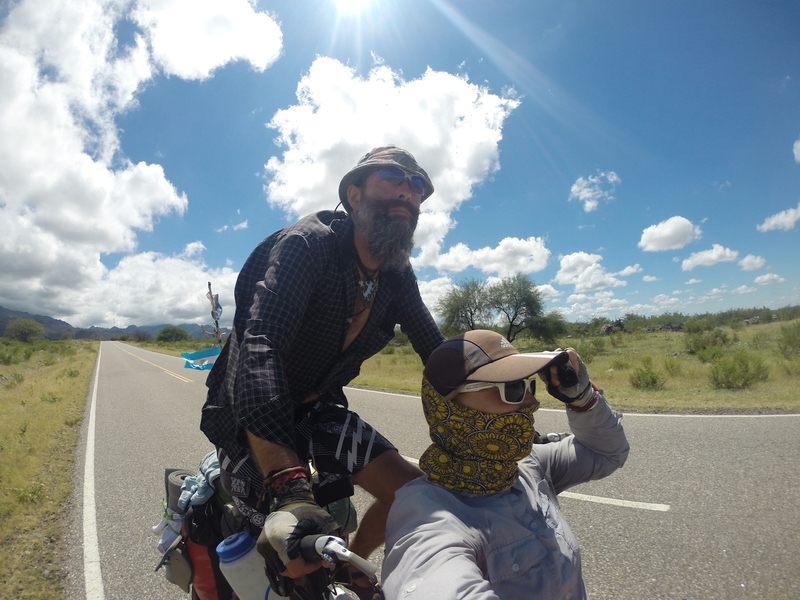 TotallyTandem started out as a road trip to South America, but turned into a life changing project. Even after the bike trip is completed, we still discover so much about ourselves, our potential, the joy of giving to others, the kick we get out of sharing inspiration, and uncovering a deeper respect for each other. Over 20 years together and we still teach each other so much. Always revealing new things. Love is not static. Life is your freedom to make choices. Don’t wait a minute longer! Come on-board with TotallyTandem and enjoy the risks we take in search for our own greatness. It’s definitely what makes the world go ’round! Ride on Bremma. How about posting some video? Wanna see you guys on de road! Rohanso!! Video in the making man! Have not had any time to do much IT stuff lately but we have talked a plenty and been accumulating the footage for ya! Stand by! Rad meeting you guys last night!! Can’t wait to follow along on your blog. I briefly chatted with you on the M.V. Coho en-route from Victoria, BC to Pt. Angeles, WA. Best wishes on your incredible journey. Thanks Roger. Sper nice to meet you guys. Hope you enjoy following the blog! Did you make room for a slab of Carlton Draught? Thank you for sharing a small part of your adventure at my place. You are always welcome here should you make it back through again. your journey is really inspiring, support you. Met you at a way side stop in Pukara. Looked up your blog to read an amazing story. We walked the Inca trail and arrived in Melbourne on Tuesday. All the best to both of you. Hope that you located your knife. Thanks Broni! Sending you much love and looking forward to our next cold ones together! Cheers!